Solar Photovoltaic System with Battery Backup? You don’t want one. Well, maybe you do, but I’m going to try to talk you out of it. I’ll still sell you one if you want it, but you are going to have to convince me, first. You can have a grid-interactive solar photovoltaic system, the ability to sell energy back to the utility company, and the luxury of battery backup. They make equipment for that. It’s nicely integrated and seamless. These have been around for off-grid applications for quite a long time, and many of the first and most popular grid interactive inverters were capable of battery backup. My contention is that it is not practical. I’m a practical solar guy. Batteries are big, heavy, dirty, and dangerous. They require maintenance and replacement. They are expensive, and the inverter/chargers that are required to use them are more expensive than traditional grid-tied inverters. They have limited capacity, and can’t be “refueled” quickly and easily.They are made of plastic, lead, and acid – three of the worst products for the environment. If you are a save-the-earth type, cover your eyes. I want you to buy a solar energy system and a backup generator for your home. I know, the fuel is a pain, it’s dangerous, and it might be hard to get when you need it most. But look at the reality of the situation. How long do you expect to be without power at any given time, and how much fuel would you really need to store. Save-the-earth types can open their eyes now. Generators rarely run – utility outages are few and far between, so the amount of fuel burned is really inconsequential. If you burn 100 gallons of diesel after a storm, it’s no worse than filling your car up five times. The earth will survive. Let’s put the dollars and cents into perspective. A typical small home can probably get away with a nice $5,000 whole-home standby power generator. If you just want to power critical loads in an outage, like lighting and refrigeration, a $500 generator would probably do you just fine. A typical large battery for whole-home use can cost from $3,000-$25,000 depending on your desired backup capacity. The inverter/charger system would be another $5,000-$20,000. You could reduce these costs if you only wanted to power true critical loads, but it’s still going to be expensive. 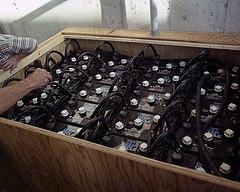 Then you need to replace the batteries every 3-10 years depending on quality (cost) and use. And after all that, you have limited energy storage capability, so I would recommend that you have a backup generator anyway! The nice thing about a generator is that you can continue to get power as long as you have fuel. 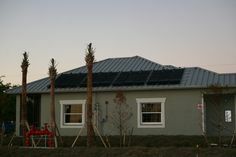 A typical home does not have enough space for solar modules (fuel) for a whole-home battery backup system. I am walking the talk. I have a $350 3500W generator that I bought five years ago. It has run about 10 hours and it still works great. My needs are modest. I am happy that I will have cold beer after the next big storm that rolls through. 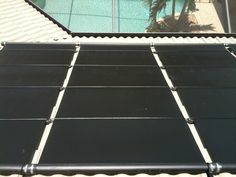 I will have hot water from my solar water heating system. I will have lights and entertainment. That’s all I really need to spend on backup power to insure against the unlikely scenario of being without utility power for an extended period of time. If you have a true off-grid power need, a critical need for a reliable backup power source in addition to a generator, or you just don’t want to ever burn fuel to get your energy, I will help you design a battery backup system for your home. Just remember, you need to sell it to me, not the other way around! 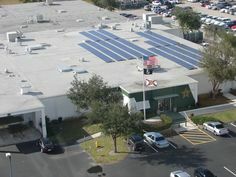 Previous Post: Affordable Housing With Solar Energy!